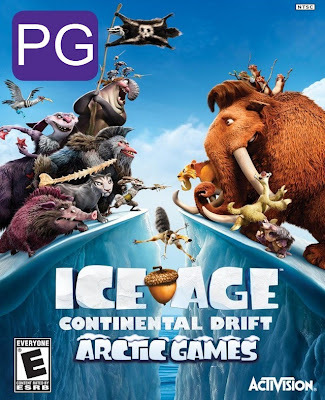 Description: Ice Age is one of those cartoon film franchises that seems to keep running forever ? almost as long as the Ice Age itself, right? Well, there?s a new animated film hitting theatres that will give you yet another fix of Sid, Manny, Diego and their furry friends that you?ve come to love. That means that it?s time to celebrate with an appropriate party game! But what kind of party can the stars of Ice Age 4: Continental Drift engage in? With the Olympics right around the corner, it only makes sense to get sporty for the occasion! And what better form of sport to focus on than Arctic Games? In this frantic multiplayer game, you can use teamwork or go head-to-head as one of many famous Ice Age faces. 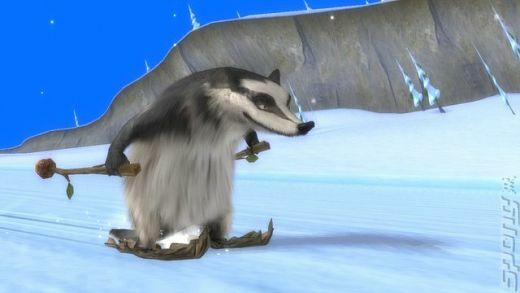 Skiing, curling and other wacky takes on classic Winter Olympics-inspired games are all present in Ice Age 4: Continental Drift: Arctic Games. 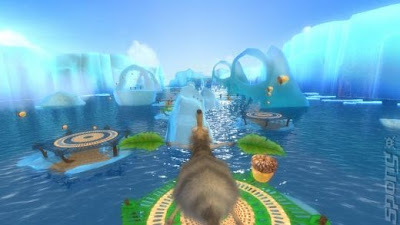 You can even sling Scrat away and get him to land on targets painted on islands for points! Players will get to feel the rush of being that crazed sabre-toothed squirrel. The winner of the games will be entitled to the main prize ? a hoard of secret pirate treasure! Of course, the pirates don?t like the fact that their booty?s being plundered, and so have joined the games themselves to reclaim it!